1. All people in the building must wear skates. Only exception are parents watching their children. 2. No loitering is allowed inside or outside the building. 3. No smoking is allowed on any part of Skate Country Westbank’s property. This applies to anyone under the age of 21. Smoking is allowed in the parking lot only and must be 25 feet or more from the doorway. 4. Obey the floorguard’s requests at all times. He or she is complete charge of the skating floor. 5. All patrons must enter the skating rink through the cashier’s admission door. Do not enter through the double doors. 6. Change all skates down the side aisle where benches have been provided. Please do not change skates in the snack bar area. 7. No fast skating or speed skating is allowed at any time. If you are continually passing more skaters than are passing you, you are skating too fast. 8. No games other than those organized by Skate Country are to be played on or off the skating floor. This includes chasing, playing tag, follow the leader, trains, etc. 9. No standing along the wall while on the skating floor at any time. If you are on the skating floor, you should be moving at all times. 10. No sitting on the walls at any time. No climbing on the walls at any time is also allowed. 12. No cutting the traffic circle at any time. This is for floorguard use only. 13. No profanity or obscene gestures are allowed. Skate Country reserves the right to expel anyone not complying with this rule. 14. No outside food or drinks are allowed at any time. 15. Do not abuse the video games at any time. This includes language as well as physical abuse to machines. 16. No fighting of any kind, even in jest. If you have a problem with another skater, please inform the floorguard or manager. 17. Please return your rental skates to the skate counter when you are finishing skating. 18. No hats or caps of any kind are to be worn on the skating floor at any time. 19. No gum chewing is allowed at any time. Private parties are very special at Skate Country. Prime time hours available. We will be pleased to host your party anytime we are not open for a public session. Weekday times are Tuesday through Thursday from 6:00 p.m. to 8:00 p.m. or Fridays, 4:30 – 6:30 (or earlier). Our weekend times are Saturday & Sundays 10:00 a.m. – 12:00 p.m. We provide the supervision and entertainment. You provide your own refreshments. NO ALCOHOLIC beverages are allowed. Ice and Freezer available at no additional charge. The Cost for your two hour private party is just $350.00 on weekdays and $425.00 on weekends for up to 50 skaters. Each additional Skater is $8.00 each. Skate rental is included but you are welcome to bring your own roller skates. You may arrive 15 minutes prior to your scheduled party time to set up and will be allowed 15 minutes after your party to see your guests off. If you would like your party experience to be much easier, we will provide unlimited soft drinks, one cup of ice cream and paper supplies for just $2.50 per skater (50 minimum). Large pepperoni, sausage or cheese pizzas can be provided for just $10.00 each. Please order in advance. Programming is strictly up to you. Whether you prefer Top 40, Rock & Roll, R&B, Oldies, Country, Contemporary Christian or Gospel Music, we will program the music to the taste of your group. You are also welcome to bring your own CD’s. We will also organize skating games to entertain your guests. Skate Country Employees will help you with set up, serving your cake and refreshments and will take care of the clean up at the end of the party. Reservations may be made up to one year in advance. Deposits may be made by cash or credit card only. A $200 deposit is required to book a private party. The remaining balance is due within 10 days of booking your party. If you book online it will charge the whole amount. 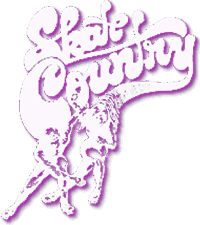 If you need to book a Tuesday through Thursday party or need to pay a deposit, please call Skate Country. Arrangements can be made to drop your decorations off for early set-up. Please speak with the manager for details when booking your party. To Book your private party, or for additional information or party availability, please contact us at (504) 392-2227 or BOOK YOUR PRIVATE PARTY NOW. We will be happy to refund your deposit provided that we are able to re-book the spot that you held. To Make A Reservation, visit our online reservation system by clicking here. If you need further Information, Please Contact Us At (504) 392-2227.